What an awesome way to, umm, not offend anyone. 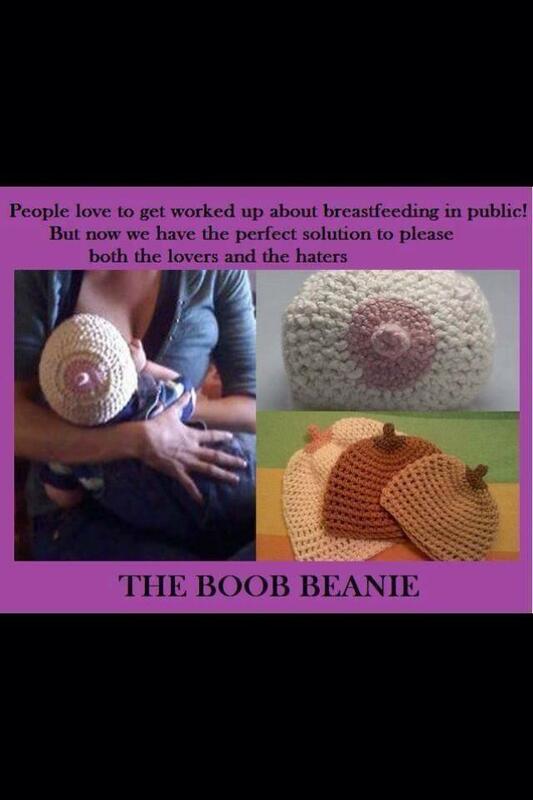 So, with all the debates about breastfeeding and public decency going around, someone thought of a way to simultaneously cover it up more yet make it appear more obscene. You gotta admire the creativity. My favorite part is the variations for different skin tones, to make sure mommas can be properly color matched. I’m the kind of mom that looks for privacy when I breastfeed (I really appreciate nice lactation rooms). Failing that, I throw a scarf up over my baby’s head so no one can see anything (I support mothers who don’t, however, because some babies won’t put up with scarves and just yank them off). That being said, I obviously do not have the guts to rock something like this, but think it’s hilarious, just the same.